Price: Please call for bulk or quantity discount pricing. The prices that are posted are subject to change without prior notice. Any Item with "Custom Cable" in the description shows a base price. This base price is not the selling price. You are required to enter a cable length to order that product. When you enter a cable length an additional charge is then added to the base price. Your additional charge can be seen in your basket contents. Ordering: All orders must be faxed or E-mailed to eliminate any errors. All orders placed over the internet are considered Emailed orders. Payment: First time customer C.O.D. Cash or prepay only, We also accept . At this time we are only accepting NET terms for approved new customers. Please provide credit references, bank information and DUNS number. An Interest rate of 1.5% or maximum rate allowed by law on unpaid invoices after agreed upon "NET Terms" from the date of invoice will be applied. Field Components will report delinquent accounts for collections, any additional expenses occurred while attempting to collect payment from unpaid invoices will be paid by debtor. Field Components reserves the right to cancel "NET Terms" at anytime due to non-payment. Any delinquent accounts will be reported to Dun & Bradstreet, Equifax, Experian, and Trans Union. Delivery: UPS, FedEx, or Trucking carrier. Shipping and insurance charges will be added to the invoice. Stocking Orders maybe shipped same day if ordered before 12:00 PM. Orders after 2:00 PM EST will be shipped the following work day. (on stock items only). All orders will be shipped with delivery insurance. This insurance will be billed to customer. Physical address must be given when shipping item. FedEx and UPS will be used to ship heavy or large items. 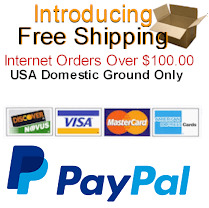 Spools, Racks, and cabinets may require additional fees when shipping. Additional fees will be charged back to the customer. Returns: All returns must have a return merchandise authorization number (RMA) on the outside of package along with a copy of the original invoice. Please call to request an RMA#. All RMA's must be submitted within 15 days of receipt of merchandise. Field Components reserves the right to charge a 15% restocking fee due to customers error. Merchandise returned after 15 days or used can only be repaired or replaced. NO refund. 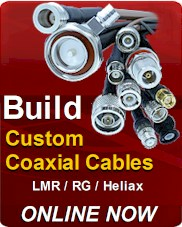 Custom Cables: Field Components technical staff can assist you in determining the proper pricing. Lead time same day on all stock parts placed before 2:00 PM EST. 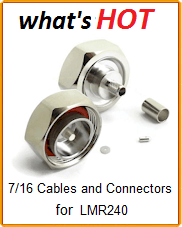 All special (custom or non standard) cables are non-refundable. A cable ordered incorrectly (due to customers error) may be reconfigured and the customer will be assessed with handling/repair charges. Custom cables can be shipped same day or less then 24 hours after order depending on quantity and availability of parts. Please allow additional time for delivery on custom parts. If you require a fast lead time please call. Specialized testing and printed test data: May be available but needs to be defined in writing at time of quotation and included on purchase order. Claims: All claims for shortages or damaged goods must be made within 5 business days after receipt of shipment. Order Cancellation: Standard Products Subject to a 25% restocking fee , custom products are NC/NR unless otherwise stated on the quotation and or sales order. Product and price changes: Field Components, Inc. reserves the right to alter any price and product specifications without notice. Although we do work with our customers to make sure we don't ever have to exercise this right. Destination Disclosure: Statement: Sale, resale, and/or use of these goods is intended within the same country as the receiving address above. If resale and/or use is intended for any other country, or as part of a system intended for another country, or in any type of military application even within the same country, the buyer must properly and completely inform Field Components, Inc. of the end user prior to order being processed. If commodities are to be exported outside of the U.S. the buyer must inform Field Components, Inc. of the end user before commodities can be shipped. If these commodities, technology, or software are exported from the U.S., it must be in accordance with the U.S. Export Administration Regulations. U.S. Export Administration Regulations and/or the U.S. Department of State may require an export license prior to exporting these goods. Please be advised that even though a commodity has been determined to have an ECCN of EAR-99, an export license may still be required before exporting depending on the destination country and end-use application. As the exporter of these goods, it is your responsibility to determine if licensing is required and to obtain such licensing; if required, prior to exporting. It is the overseas recipient's responsibility to receive goods in accordance with the import laws of the receiving country. If items are to be exported, End User information must be provided to Field Components, Inc. if buyer is Intermediary rather than Consignee. Diversion contrary to U. S. law is prohibited. Warranty: Field Components, Inc. warrants products of its manufacture to be free from defects in material and workmanship under conditions of normal use. If, within 12 months of after delivery to the original owner and after prepaid return by the original owner, any Field Components, Inc. product is found to be defective, Field Components, Inc. shall, at its option, repair or replace said defective unit. This warranty does not apply to products that have been disassembled, subjected to misuse, improper installation, repair, alteration, neglect, accident, abnormal conditions of operation, or conditions of operations exceeding the applicable specification or ratings. International Sale: Prepayment via Wire transfer is required prior to release of order, for custom products at time of order for standard order at time of shipment. Customer responsible to pay all freight, custom and duty charges. ITAR Prohibited Countries: Field Components will not ship to or participate in distribution of any products with the final destination to the following countries: Afghanistan, Belarus, Cuba, Cyprus, Eritrea, Iran, Iraq, Ivory Coast, Lebanon, Sierra Leone, Libya, N. Korea, Syria, Vietnam, Myanmar (formerly Burma), China, Haiti, Liberia, Rwanda, Somalia, Sri Lanka, Sudan, Yemen, Zimbabwe, Venezuela, or Democratic Republic of the Congo (formerly Zaire).